Church Street in 1900 showing First Parish Meeting House in background. The architect of the fifth meeting house was Isaiah Rogers. 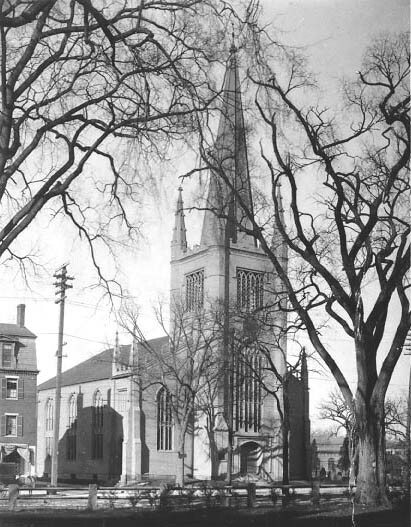 An early example of wooden, or “carpenter” Gothic, it was never truly a Gothic building, but was rather a New England meeting house with Gothic ornamentation. The square shape of the auditorium and the focus on the pulpit emphasize the spoken word, in the Puritan tradition, rather than liturgical worship, for which Gothic is appropriate. The original floor plan had a center aisle, side aisles, and box pews along north and south walls. 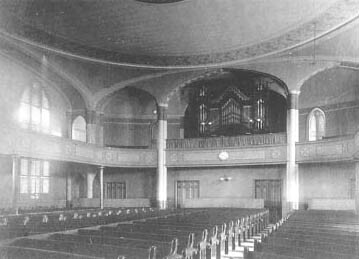 A remodeling of the interior in 1868 eliminated the center aisle and box pews, and set the pews on a curve. 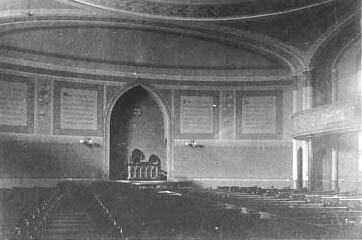 The photographs of the interior (below) date from the 1880s or early 1890s. 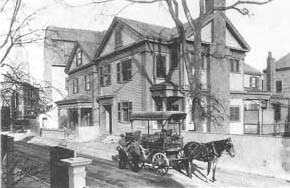 The First Parish Meeting House as it appeared in 1907. 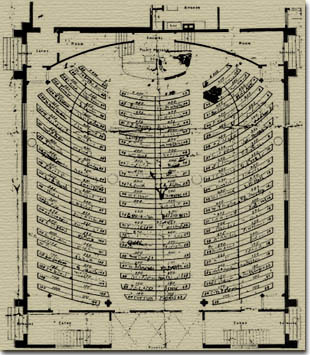 Seating plan of the Meeting House in the 1870’s.